You can drop me an email at Denise @ stlMotherhood.com if you want to know more. I’m an at-home mom with a background in journalism. I’ve been a freelance editor and columnist for Patch.com and a stringer for the St. Louis Post-Dispatch. I’ve written for Boys’ Life, Missouri Life and few blogs here and there. Got a product to review? No problem, I love trying out new things and sharing them with my mom readers! I have two boys (10 and 19) so I don’t really do baby stuff anymore, but I’m hip deep in Hot Wheels, homework, XBox, Minecraft and all the noisy stuff that makes raising boys fun. 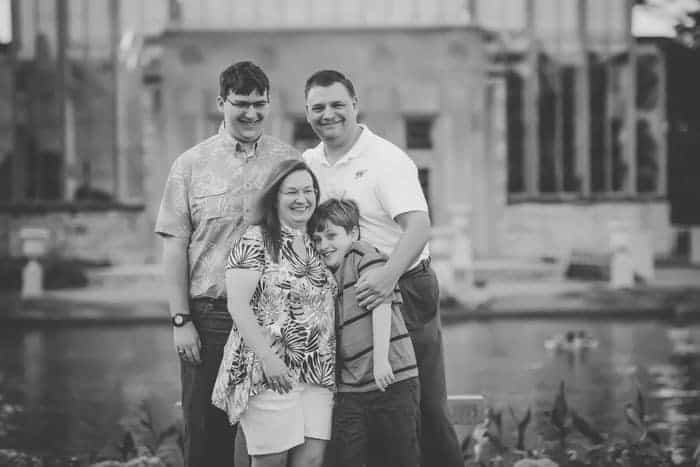 We’re into outdoor adventures (both boys are scouts), arts and crafts, hiking, biking and all kinds of St. Louis fun. Every week I bring fun weekend plans to your email box via St. Louis Magazine, and I’ve done a few recipes and crafts on Great Day St. Louis and Show Me St. Louis. Recently I was really excited to get recognized as the Best Family Blog with a St. Louis focus from the Midwest Influencer Network, and last summer I was a finalist in Explore St. Louis’ search for a Summer Ambassador. Pretty cool!